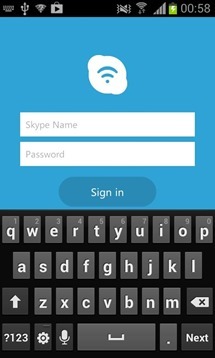 Don't let the title fool you: this app isn't a WiFi-exclusive version of Skype. That would be silly. 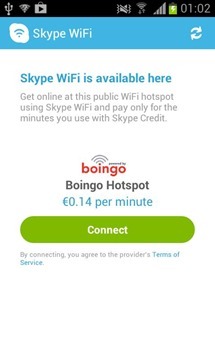 Instead, it's an easy access app for Skype's network of partnered WiFi access points, which the company claims is more than a million strong in various airports, cafes, and train stations. 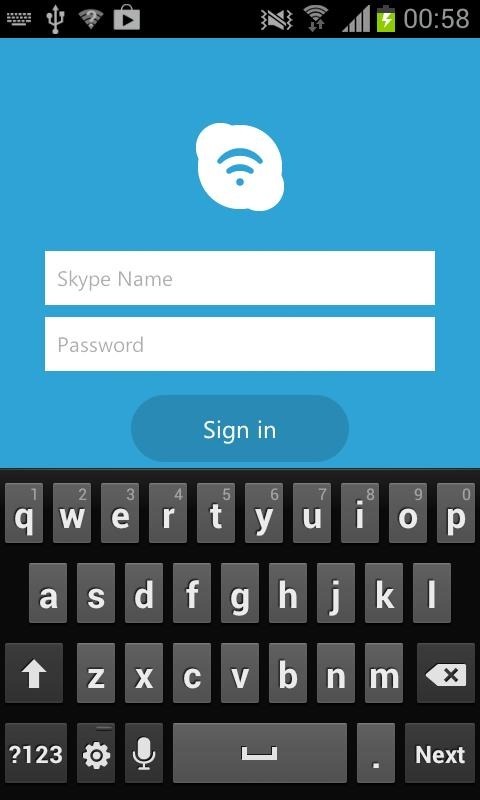 There's nothing stopping you from using them normally (or using the standard Skype VOIP app), but Skype WiFi will quickly connect and authenticate your Android-powered device. 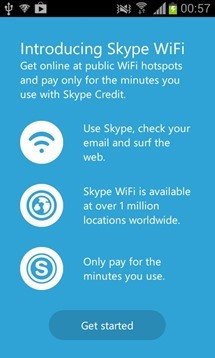 What may be even more useful is the fact that you can pay for access with your Skype credit. While this is obviously less desirable than a free access point, it means that as long as you've got some Skype credit available, you won't have to dig into your wallet for a credit card or go through a PayPal prompt. 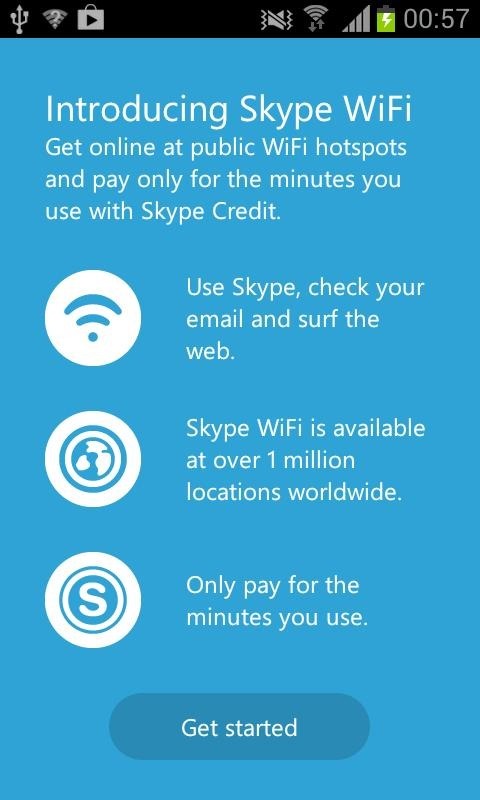 Sessions are timed instead of metered by bandwidth, and every thirty minutes Skype WiFi will check with you before using more credit for another session. 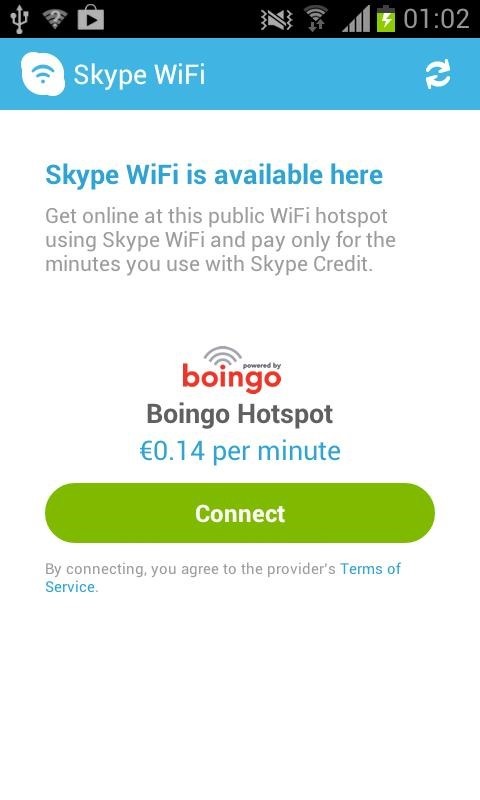 The usefulness of Skype WiFi might be a little limited - pretty much the only people who will want it installed full-time are those who are already active Skype users who frequent an applicable WiFi hotspot. But for those few, it should save an appreciable amount of time. Skype WiFi is a free download for Android 2.2 and up.